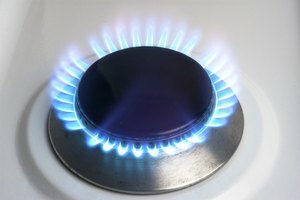 Gas ranges offer a wide variety of temperature settings using a ring of flames emitted from the burner. 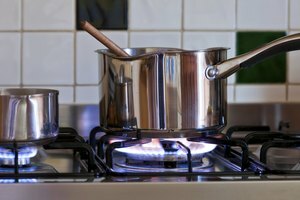 Though most types of cookware can be used on gas ranges, some types will work better than others. Cookware that evenly distributes heat is best, as it will spread out the fire's heat to avoid uneven pan temperatures. Copper is a soft but durable metal that is an excellent heat conductor and works well on gas ranges. Though copper pots are some of the most expensive you can buy, they distribute heat evenly and are responsive to temperature changes. 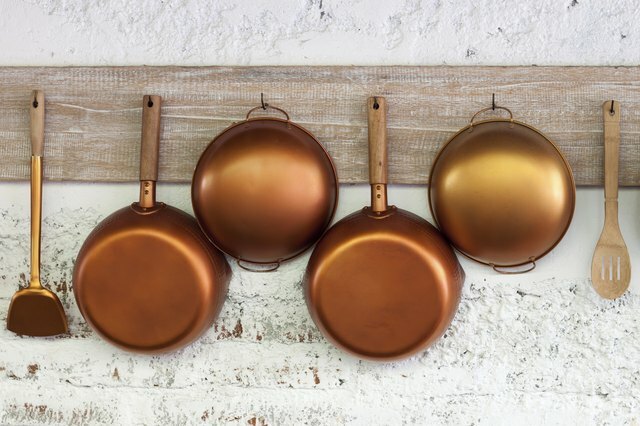 Look for pans with a copper core and a tin, stainless steel or nickel coating. 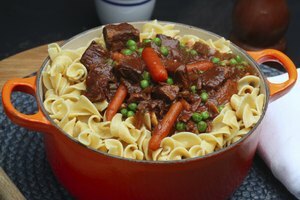 Copper-core cookware provides the same benefits as plain copper cookware but it does not require as much cleaning or care. Whether the pot is plain copper or copper-core, it will likely be heavier than any other pieces of cookware. 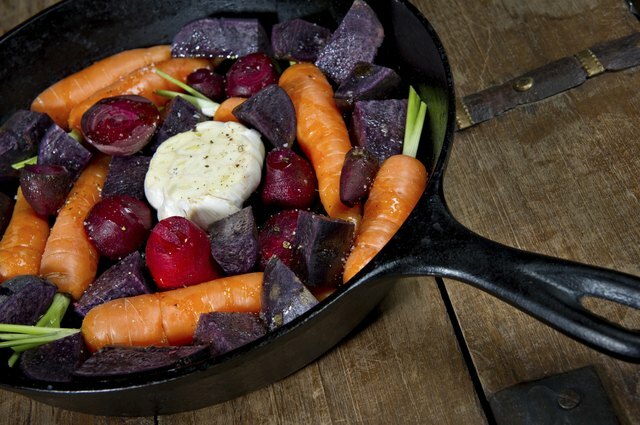 Cast-iron cookware is a low-cost option that offers slow, even heating. It works best when heated over a low flame on gas ranges and it is very durable. Cast iron is typically “seasoned” before you cook with it, which is done by baking a layer of oil into the iron. This creates a natural nonstick coating. Alternately, you can use enameled cast iron, which is coated in a layer of enamel instead of seasoning to help prevent sticking. Anodized aluminum cookware is treated to develop a hard, nonreactive coating ideal for cooking most foods. 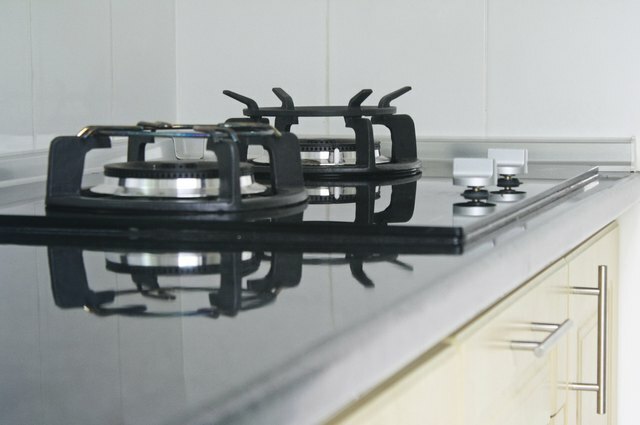 Aluminum offers even heat distribution, which makes it a good choice for cooking on gas ranges. It is typically low-cost and lighter than cast-iron or copper cookware. 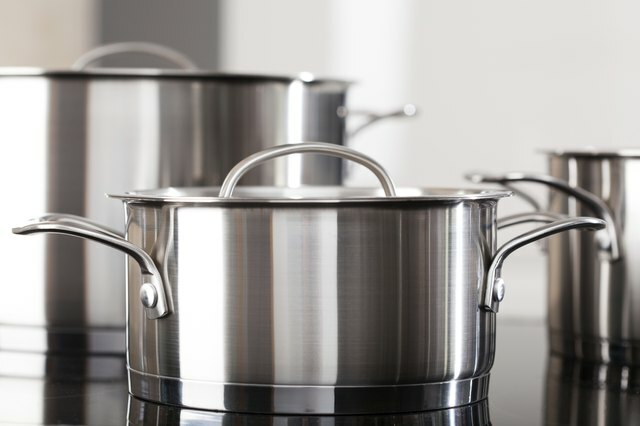 Some aluminum cookware is coated with stainless steel to form a nonreactive surface without anodizing. However, you should avoid plain, non-anodized aluminum, which may react with acidic foods like tomatoes and leach a metallic flavor into your foods. 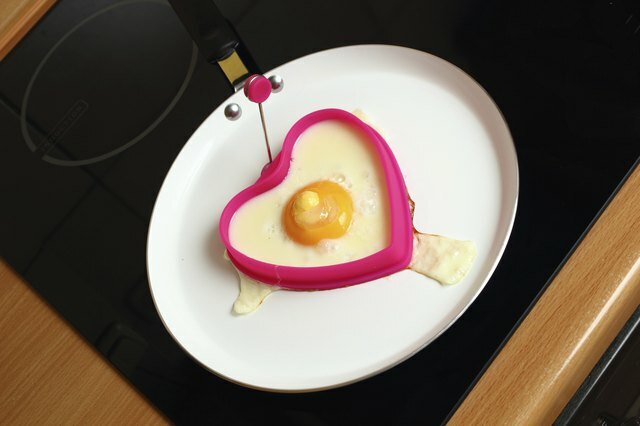 Nonstick cookware can be used safely on a gas range provided you do not cook over high heat. Keep the burner set to medium or lower when cooking in a nonstick pan. Nonstick-coated cast-iron, aluminum and copper-core cookware provide even heating and allow you to use less oil. Nonstick cookware also reduces cleanup time and it can make recipes that require flipping delicate food like crepes easier to manage. When working with nonstick cookware, use wooden or plastic utensils to avoid scratching the nonstick coating. Also, always follow manufacturer's instructions for washing your nonstick cookware after using it.